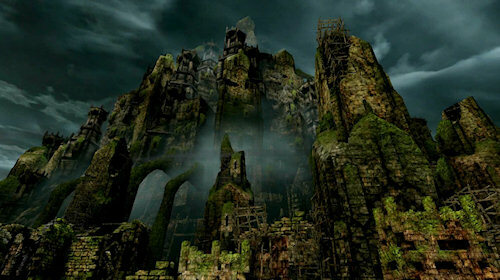 The world of Hunted: The Demon's Forge doesn't seem like a nice place to vacation. Not only are the hotels infested with the undead, travelers getting kidnapped for slavery - but the heat from the Demon Forge is melting all the ice cream. The latest trailer for the game showcases this world that we'll be entering with a friend in a co-op manner next year. Instead of packing beach towels and our swimming trunks we'll be swinging swords and shooting arrows in this Action/RPG from inXile Entertainment and Bethesda next year. If you're looking for more info on Hunted, check out our interview with the team from earlier this year. Page created in 0.3485 seconds.